Solo recitals in classical and modern repertoire. Repertoire includes works by Bach, Beethoven, Brahms, Scarlatti, Mozart, Chopin, Debussy, Liszt, Ravel, Szymanowski, Schoenberg, Bartok, Ginastera, Messiaen, Ligeti, and others. Performed a number of piano concertos, including by Chopin, Mozart, Bach, Beethoven, Brahms, Rachmaninoff (Rhapsody on a theme by Paganini), Liszt (Totentanz), Bartok, Tchaikovsky. Performed numerous sonatas for piano and violin, flute and piano, piano quintets, piano trios and other chamber works as well as ensemble works, such as ‘Pierrot lunaire’ by Arnold Schoenberg. As accompanist, worked with a number of singers (in lieder and in operatic repertoire) and instrumentalists (pianists in concerto repertoire, string players, woodwind, brass and others). 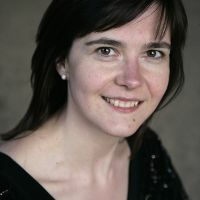 As a choral repetiteur, has worked with Huntingdonshire Philhamornic Chorus and with Choir 2000, in works such as Verdi's Requiem, Christopher Brown's Cantata 'Landscapes' and Orff's 'Carmina burana'. Worked with a number of contemporary composers and performed in new music concerts and workshops, including during Peter Maxwell Davies’ Chopin workshop with composition students at the Royal Academy of Music and at Kettles’ Yard in Cambridge.